Joseph Biondolillo is the founder of the Biondolillo Financial Group. He has always had a passion for finance, business and helping others with proper planning in both. Throughout his career, he has not only helped clients save, protect and grow their wealth, but prides himself on educating them so they can meet the realities of today’s ever-changing world. He has successfully trained and mentored dozens of industry professionals. A graduate of St. Johns University, his entrepreneurial spirit has allowed him to build and sell multiple businesses. Joe truly enjoys owning his own business, believing he can control his own destiny. Today, he works with his clients to try and achieve the same. Joe is an active member in the community, with involvement in multiple charitable organizations. 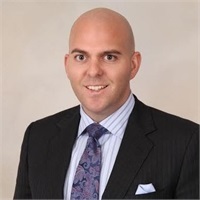 Joe is active in The Seton Foundation School for Autism, a board member for the Emergency Children’s Help Organization and an ambassador with the Staten Island Economic Development Corporation. Joseph resides in Staten Island, New York with his wife, Nicole, and their 4 children.